His contributions to the world of rock and roll are unsurpassed. He forever changed the landscape of the music industry. Now, in the year of his 75th birthday, Case pays tribute to "The King". 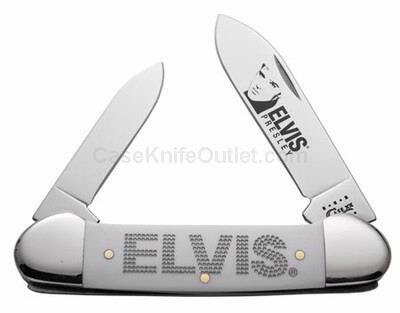 Inspired by a name that captivates millions world-wide, Case boldly emblazons the name "Elvis" into the handle of their inaugural commemoratives along with a stylish Elvis blade etch. Fans are sure to be inspired too, as one of the world's most revered icons is matched with one of America's oldest and most collected knife brands. Made in the USA.